After I had left the store of the Chinese lady, I discovered a thrift-store in a side street. I walked in and saw a couple of boxes filled with 45´s. 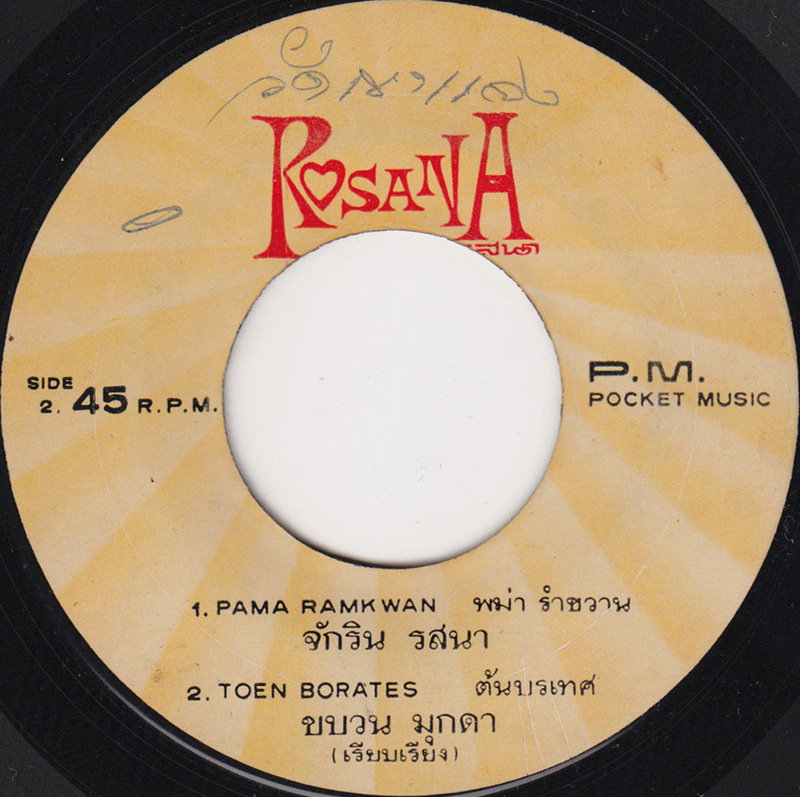 I picked a couple of cool EP´s from Singapore but found very few Thai records. Most of the records were dirty, sleeveless and in bad condition. Then this record caught my eye. I had listened to one of the Johnny Guitar records in the Chinese lady´s store and recognized the same Rosana label. That´s how you get to know about music in the real world. If you enjoy music that was published by a certain label, you also check out other releases by that label, assuming that somebody must have had some good taste in choosing this music in the first place. Ten years later I can check the Internet and find all sorts of information on P.M. Pocket Music. Apparently they were a cult group in Thailand, one of the bigger groups doing Shadow Music. 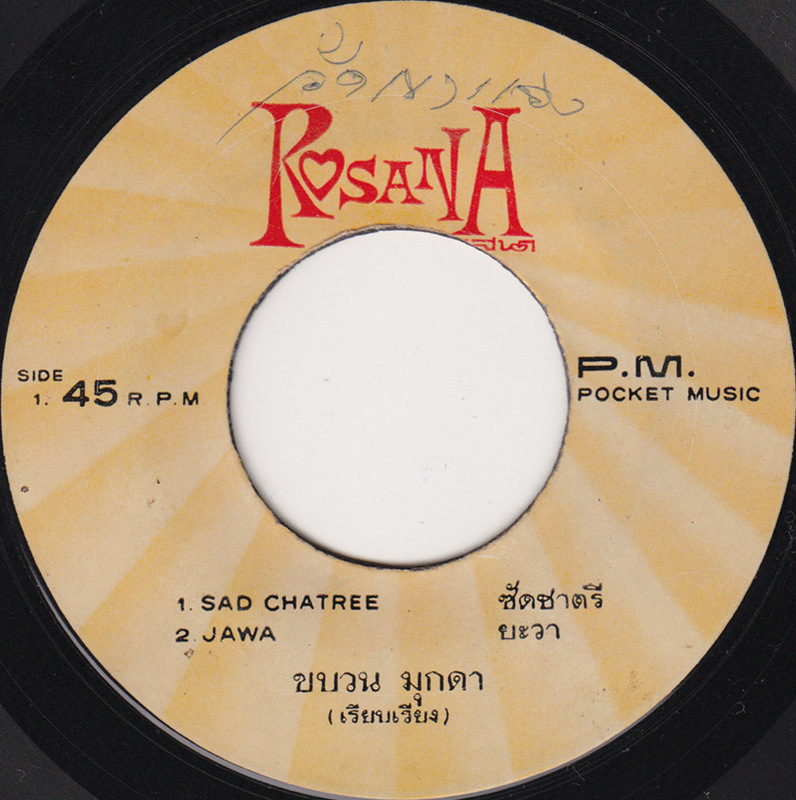 In the hot and humid summer of 1999 when I was in Bangkok´s Chinatown in that dirty thrift-store, knowing absolutely nothing about Thai rock music, I was learning real quick about labels. The record looked real beat, but I took it anyway. At home I cleaned it but of course it still has a lot of surface noise. I´m still glad I picked it, there are some killer instrumentals on this record..